Anyone who has ever worked in an ED on a Friday night knows that facial injuries are a common presentation. In the 15-50 age group, the most common cause of facial fracture is interpersonal violence, at all other ages it is falls . Not surprisingly, males outnumber females for facial fractures by a ratio of 2 to 1 2. 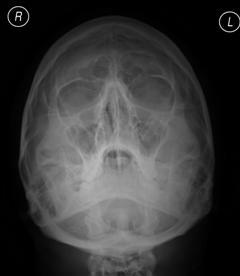 Of all facial fractures, nasal fracture is by far the most common seen in the ED . 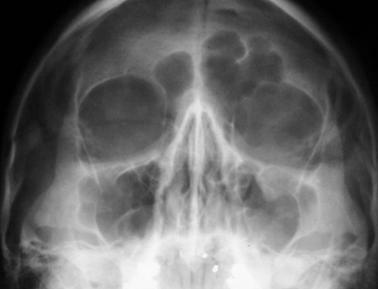 Although EM physicians encounter large numbers of patients with facial injuries, interpretation of facial x rays, particularly injuries involving the zygoma, are a common source of diagnostic error in the ED . 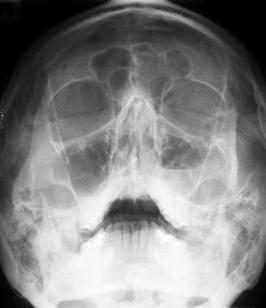 Facial x rays were the most commonly misinterpreted radiographs in one study of EM residents in the USA, leading to the most clinically significant errors from all x ray misinterpretation . While computed tomography is used frequently in trauma, plain x-rays remain relevant in the initial evaluation of potential isolated facial fractures. Although facial injuries are one of the most common problems seen in the ED, interpretation of facial x rays remains a frequent cause of diagnostic error. All these terms refer to injuries of the zygoma with, in most cases, involvement of the maxilla or temporal bone. The sutures connecting the zygoma to adjacent bones may also be disrupted. Whilst it is important to delineate the individual components of a facial injury, in most instances this can only be done accurately by CT scan at a later stage. Confusingly, many terms exist for fractures to the zygoma and surrounding bones. For clarity the EP should refer to injuries either to the zygomatic arch or zygomaticomaxillary complex (ZMC). The zygoma forms a large part of the anterolateral wall of the orbit, the lateral margin of the infraorbital rim and the anterior segment of the zygomatic arch. It articulates with the superior portion of the maxilla and the frontal, temporal and sphenoid bones. Basic anatomy of the zygoma (highlighted in blue). 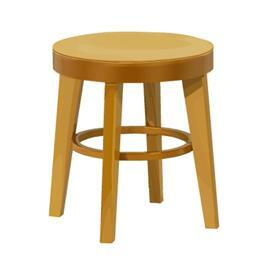 The ZMC should be considered functionally as a four legged stool as injuries almost always involve more than one, and sometimes all, of the legs. The zygomatic arch is predominantly formed by the zygomatic process of the temporal bone which articulates with the much smaller temporal process of the zygoma forming the arch. 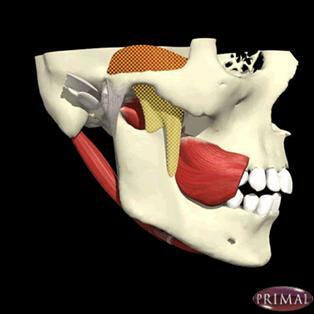 The temporalis muscle and coronoid process of the mandible run lie beneath the arch and may become trapped in depressed fractures of the zygomatic arch. Immediately below the infraorbital margin of the maxilla lies the infraorbital foramen, through which passes the infraorbital nerve (part of the maxillary division of the trigeminal nerve). The nerve’s location makes it very vulnerable to both direct injury, and involvement in ZMC fractures. The bony orbit is composed of thickened orbital rims (margins) but relatively thin inner walls. The zygoma and maxilla form the greater part of the medial, inferior and lateral orbital margins as well as almost all of the orbital floor. ZMC fractures nearly always incorporate some degree of orbital fracture which become clinically relevant to the EM physician when they involve the orbital floor. 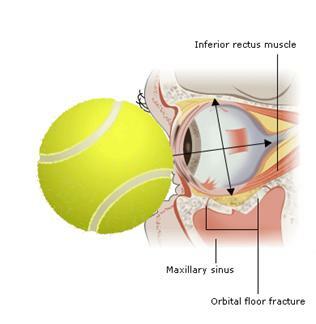 In an orbital blow-out fracture the pressure from a direct blow involving the relatively tough globe, is transmitted downwards fracturing the floor of the orbit and often resulting in herniation of intraocular contents into the maxillary sinus. In blunt injuries involving the eye, the globe is more resistant to perforation than the bony orbit is to fracture. CSF rhinorrhoea from involvement of the cribriform plate of the ethmoid bone. Orbital emphysema from fracture of the orbital plate (lamina papyracea) of the ethmoid. Although most nasal fractures are common and relatively benign, involvement of adjacent structures may produce significant complications. The initial assessment of a patient with a facial injury must start with an ABCDE approach. The airway is of particular concern either from direct injury or from complications of local trauma i.e. bleeding / swelling. In facial injuries, associated head and neck injury must also be considered. In one study nearly 3% of alert patients with a facial fracture and no neurological deficit had an intracranial haemorrhage on CT scan . Other studies have found up to 10% of patients with a facial fracture, most commonly the nose and ZMC, have an associated significant cervical spine injury 6, . 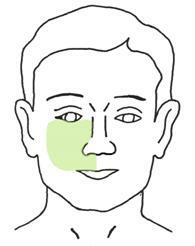 Midface injuries are associated with C5-7 disruption, whilst lower face trauma is more associated with C1-4 disruption. When taking a history, the EP must include document the mechanism and circumstances of the injury (e.g. interpersonal violence, road traffic accident) as well as the presence or absence of head injury symptoms such as loss of consciousness, amnesia and vomiting. Previous nasal injury / deformity often a perceived nasal deformity is pre-existing. Any persistent nasal discharge since the injury this symptom may indicate a nasoethmoid injury with CSF leak. The EP must also be aware of the association between facial injury and the abuse of children, women and vulnerable adults. If doubt exists, for example a delayed presentation or mismatch between the history and examination findings, then seek advice from a senior EM or paediatric clinician. Consider carefully whether the history of injury corresponds with your findings on examination. A second opinion should be sought for any discrepancy found. Maxillofacial trauma places the airway at risk . Bleeding, oedema or foreign bodies such as loose teeth may further obstruct the airway. Alcohol intoxication is frequently a factor, with a resultant reduction in consciousness and increased likelihood of vomiting. Allowing a conscious patient to sit up may help maintain airway patency and reduce the risk of aspiration (only if no spinal injuries are present). A left lateral position may be required if a patient also has suspected spinal injuries and feels like vomiting prior to intubation. Jaw thrusting or anterior traction on a floating segment of mandible may help open the airway, at the price of possibly increasing haemorrhage. Endotracheal intubation in this setting is likely to be very difficult, requiring senior input and availability of a difficult airway trolley. While maxillofacial haemorrhage can be dramatic, it is only rarely responsible for profound hypotension. Clinicians must look for other causes of blood loss/shock in hypotensive patients . Prompt haemostasis of external bleeding may involve direct pressure, sutures or staples. Internal haemorrhage control may require packing, balloon tamponade, temporary reduction of fractures, or either embolization or surgical ligation of bleeding vessels. Following haemostasis, most maxillofacial injuries do not require immediate surgical repair. Following a rapid ABCD assessment, a general examination is important to identify any further potential threat to the airway and the systemic effects of bleeding. Some specific points to consider in maxillofacial trauma are outlined below. Areas of swelling, bruising and bleeding persisting bleeding and / or discharge from the nose may indicate a nasoethmoidal fracture. Deformity of the nose and zygomatic arch depression of the zygomatic arch (flattened face) is best identified by looking from above or below. Septal haematoma of the nose a haematoma on the side of the nasal septum which needs draining urgently to prevent a saddle nose deformity from ischaemic necrosis. Evidence of injury to the eye(s): the position of the eye and visual acuity must be checked. Enophthalmos and proptosis both indicate a significant orbital injury. Features suggesting progressive retrobulbar haemorrhage require an emergency decompression (lateral canthotomy). Any contact lenses must be removed to prevent keratitis.For a more comprehensive account of eye assessment see the Assessment of the eye module. Subconjunctival haemorrhage if the posterior limit of the haemorrhage cannot be seen, it is likely that blood has tracked round the eye from a fracture of the orbital wall. A clear posterior border suggests a direct blunt injury to the globe. Subconjunctival haemorrhage from an orbital wall fracture with no posterior border visible. 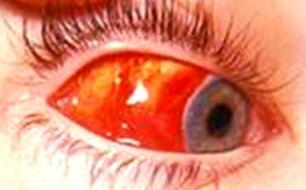 Subconjunctival haemorrhage with no visible posterior margin is a useful sign often indicating orbital wall fracture. It may be impossible to accurately identify deformity or evidence of eye injury due to marked swelling. If this is the case arrangements must be made either re-examine the patient once the swelling has subsided or, if available, to image the eye using ultrasound, CT or MRI scan. Zygomatic arch check for a step or flattening caused by a depressed fracture. Periorbital region for the crepitus of surgical emphysema this indicates a fracture involving a sinus, usually the maxillary. Intraorally to assess the maxilla in the upper buccal sulcus for tenderness or a step. 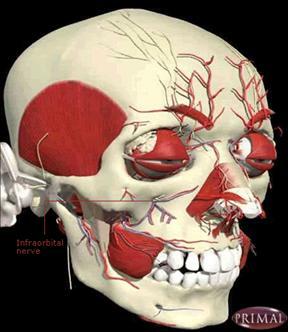 Cutaneous distribution of the right infraorbital nerve. Eye movement, particularly upward gaze, may be restricted in orbital blow-out fracture due to trapping of the herniated inferior rectus muscle. Limited jaw movement caused by restricted movement of the coronoid process of the mandible under the zygomatic arch may be found in depressed fractures of the zygomatic arch. Mandibular fracture may also be a cause see mandibular and TMJ injury session. X rays are the cornerstone of investigation of ZMC and zygomatic arch injury in the ED. However there is currently no validated decision rule for the ordering of facial x rays. The decision to order an x ray must therefore be based entirely on clinical acumen or locally developed guidelines. It is important to realise that adequate facial x rays can only be achieved in a co-operative, still patient and provided cervical spine injury has been ruled out. Often Saturday night films taken in intoxicated or uncooperative patients, are of a technically poor quality and should not be used to definitively exclude a fracture. Arrangements should be made for further assessment once the patient is more co-operative. A number of recent studies have looked at whether a single view (either OM15 or OM30) is sufficient to identify a midfacial fracture. A review found that although a single view will save time, cost and radiation, a low sensitivity meant that occasional fractures would be missed . The review suggested that two views should be taken. In a separate study analysing midfacial fractures in 104 patients, the lateral facial view failed to identify a single midface fracture seen in either the OM15 or OM30 view . Therefore, the recommended optimum combination of facial views to maximise pick-up rate and minimise radiation exposure is the OM15 and OM30. Two facial views the OM15 and OM30 provide the best combination of accuracy in identifying midfacial fractures whilst minimising radiation exposure. In patients where clinical findings suggest a zygomatic arch fracture, a specific arch view such as the submentovertical, will facilitate identification of the fracture. Although it is widely recognised that spiral facial CT scan is far more accurate at identifying ZMC and zygomatic arch fractures 10, its use in the ED is restricted to either a second line investigation, usually initiated by the maxillofacial team, or when other injuries (e.g. cervical spine injury) prevent routine facial x rays being performed. 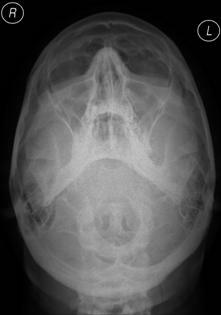 The diagnosis of orbital blow-out fracture may be made on routine facial x rays (e.g. a teardrop sign) but CT scan remains the gold standard if this injury is suspected or identified. Relatively recently focused ocular ultrasound (FOUS) has been evaluated in the ED and found to be highly accurate in both diagnosing and excluding both orbital and ocular trauma [11,12]. 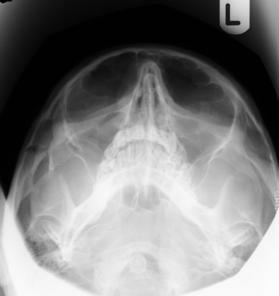 It is now universally recognised that x rays of the nasal bones are unnecessary as they do not alter management of the injury. EM doctors attempt to justify them  and they are still being performed  but they are not warranted for either clinical or medico-legal reasons due to a poor sensitivity and specificity. 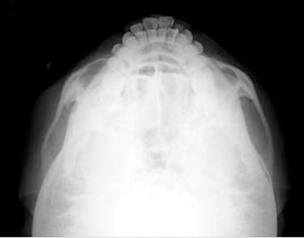 There can be no justification for ordering x rays of the nasal bones for a patient with suspected nasal fracture. In patients with nasal injury and persisting discharge form the nose, it can be difficult to differentiate between nasal secretion and CSF arising from a nasoethmoidal fracture. Although often advocated, testing for the presence of glucose, which is present in CSF but not normally in nasal secretion, may be falsely positive due to contamination of nasal secretions by blood or tears. Beta-2 transferrin (also known as the Tau protein) is almost exclusively found in the CSF and is a highly sensitive and specific test for the presence of CSF . The presence of beta-2 transferrin in nasal discharge is the most accurate diagnostic test to confirm CSF rhinorrhoea. The vast majority of ZMC fractures can be managed expectantly until local swelling subsides and review by a maxillofacial surgeon at a time guided by local policy. Any indication of eye involvement (e.g. reduced visual acuity or diplopia) is an indication for urgent referral to a maxillofacial surgeon and / or an ophthalmologist. Suspected infraorbital nerve involvement is not an indication for urgent referral. Avoidance of nose blowing as this may produce surgical emphysema. Patients with a ZMC fracture must be advised to avoid nose blowing or holding the nose when sneezing, as surgical emphysema may result. There is no good evidence that antibiotics should be routinely prescribed in ZMC fracture, although there is a well documented, but rare, risk of orbital cellulitis . Local policy should be followed. As for ZMC fractures the majority of zygomatic arch fractures do not need urgent surgical intervention. If there is restriction of mouth opening due to trapping of the temporalis muscle or mandibular condyle, is an indication for urgent referral to a maxillofacial surgeon. Follow-up and advice should follow that of ZMC fracture. 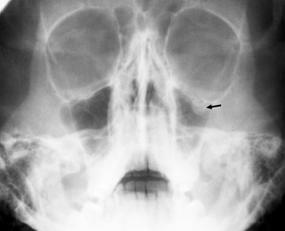 Right sided depressed zygomatic arch fracture. Clinical suspicion of an orbital blow-out fracture (e.g. diplopia or reduced eye movements) merits urgent referral to a maxillofacial surgeon. Although plain x ray may reinforce suspicion, facial CT scan will be needed to visualise the fracture in detail and plan surgical repair. There is no evidence to support routine antibiotic prophylaxis in orbital floor fracture and local guidance should be followed . Visual disturbance, limitation of eye movements and a teardrop sign on facial x ray are all signs of an orbital blow-out fracture. Immediate referral to an ophthalmologist or maxillofacial surgeon is essential. Left sided orbital floor fracture with teardrop sign. Nasal fracture is a clinical diagnosis and there is no evidence that immediate reduction of a displaced fracture practiced in some centres, is any better than delayed assessment and reduction . However, displaced fractures must be reduced before 14 days as attempted closed reduction beyond this time may be impossible 19. Septal haematoma is a rare problem but is more common in children due to the relative lack of bone in the nose which is softer and therefore more easily deformed. If identified, a patient with a septal haematoma must be referred urgently to an otolaryngologist for drainage and nasal packing. Traumatic epistaxis is common in nasal fracture and although occasionally severe, is usually self-limiting. 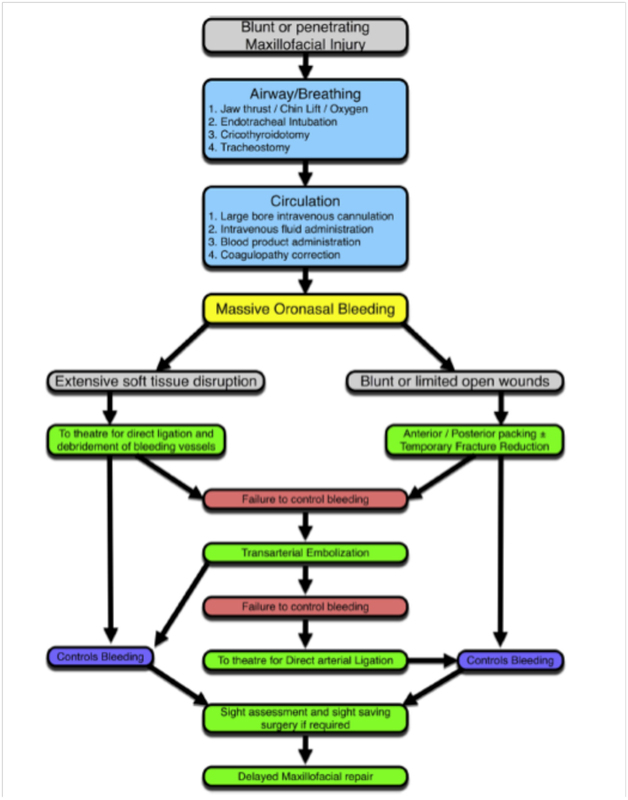 It can be managed in a similar way to a non-traumatic nosebleed for a more comprehensive account of the management of epistaxis see the Epistaxis module. If CSF rhinorrhoea is confirmed, the patient should be referred immediately to an otolaryngologist for further assessment. Uncontrolled epistaxis, CSF rhinorrhoea and septal haematoma are all indications for urgent otolaryngology referral in nasal injury. Found this module very useful specially the evidence supporting no nasal bone X-rays. love her management flow charts and learning bites. learned something new as I was unaware of beta 2 transferrin.